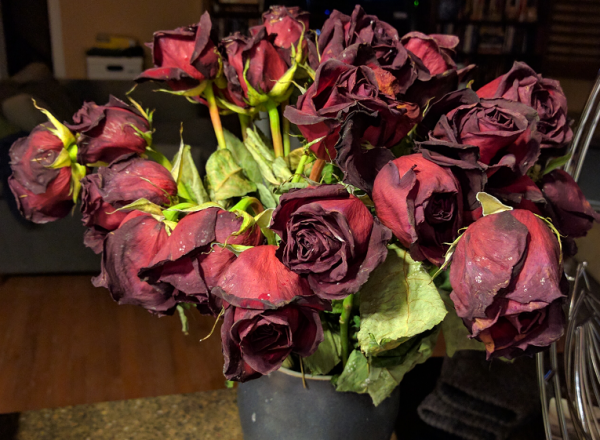 And my birthday flowers find new life in death . . .
Me: "They're just so beautiful now—all dried and blackened and spotted." Shog: "So when I consult the manual to find out if I've married a goth . . . ."
Me: "I'm a recovering goth—just kidding. There's no Cure." Beauty is in the eye ... is it too late to dry the petals for potpourri?